Study abroad is not impossible. Currently there are many scholarships from famous universities offering scholarships abroad for students. 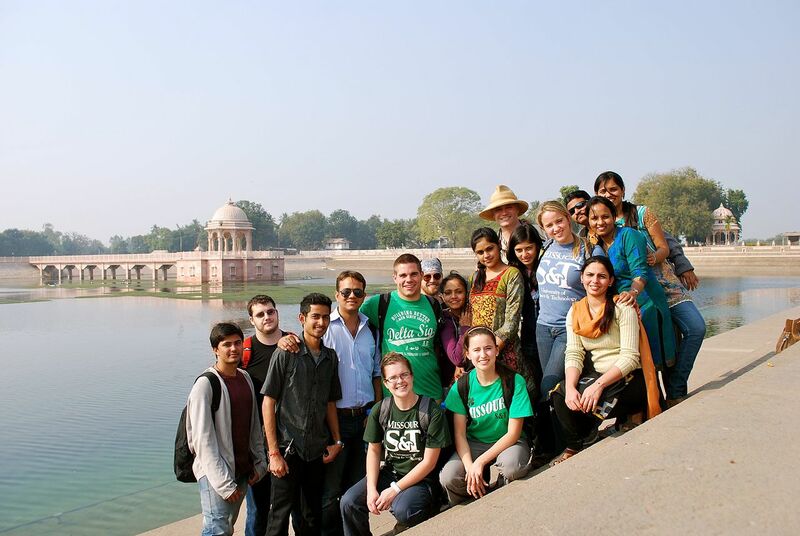 Here are 5 favorite scholarships for study abroad that you can try. If you want to study in Europe, you can try Erasmus+ scholarship. Many students are craving this scholarship because of the great amount of funds. There are many types of scholarships offered and generally these scholarships bear the cost of education, living expenses and housing, insurance, and costs for go back to the origin country. The scholarship, managed by a consortium of more than 27 European countries, provides scholarships for bachelor and magister for hundreds of students each year. Dreaming to continue studying in the United States? Let's join for Fulbright's scholarship. This US government scholarship offers at least 7000 scholarships to 155 countries. Each year the scholarship receives more than 200 thousand awardees from all over the world. Offered in various types, Fulbright scholarship allows you the opportunity to study bachelor and doctor. As for which is guaranteed by this scholarship is the cost of study, book allowance, monthly allowance, plane tickets, and insurance. For those of you who want to experience to study in the UK, you can start looking for information about the Chevening scholarship. Chevening scholarship offered from the British government for international student candidate provides about 700 scholarships for more than 41,000 awardees. This scholarship covers the cost of master's tuition, travel tickets from and to the origin country, cost of preparing the thesis, living expenses, and allowance in the range of £ 917 - £ 1.134 each month. It can be said that the scholarship is quite popular in 160 countries and has alumni of scholarship recipients about 92 thousand more. There are seven types of scholarships offered each year. These scholarships include tuition fees, return trips from home countries, university entrance fees, up to a monthly allowance of approximately 143 thousand yen. Interestingly again, this program offers scholarships from bachelor level. The Australian Awards scholarship will bring your dream to college in kangaroo country. Interestingly, this scholarship is intended for students who come from developing countries such as students from Indonesia. The scholarships offered are master and doctor and the choice is a renowned university across Australia. These scholarships bear the tuition, living expenses, English training, health insurance, plane tickets, and others. So already know where to hunt for foreign scholarships? Every year these five programs always open opportunities for students from various countries.